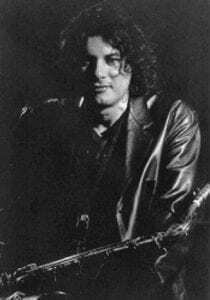 Piero Odorici was born on 28 July 1962 in Bologna and devoted himself to the study of the saxophone from the age of ten. After completing classical studies, he became passionate about Jazz music under the guidance of Sal Nistico and Steve Grossman, two of the greatest saxophonists of modern Jazz. He then began his artistic career playing both as a leader and as a sideman with various Italian and foreign bands on tour in Italy, France, Germany, Greece, Finland, Canada and participating in television and radio broadcasts. He has collaborated with world-renowned musicians such as: George Cables, Ray Mantilla, (with whom he plays regularly), Cedar Walton, Billy Higgins, Slide Hampton, Eddy Henderson, Ben Riley, Jimmy Cobb, Sal Nistico, Steve Grossman, Red Rodney, Jack Walrath, Lee Konitz, Joe Lovano, Elliot Zigmund, Steve Lacy, Billy Hart, Steve Gadd, Jack McDuff, Mingus Big Band, Vincent Herring, One For All, John Icks, Alvin Queen, Ronnie Mathews, Keith Copeland, Antonio Faraò, Enrico Pieranunzi, Massimo Urbani, Roberto Gatto, Danilo Rea, etc. He has also participated several times in numerous Jazz Festivals including all the most important festivals in Europe such as Umbria Jazz, Orvieto (Umbria Jazz Winter), Gran Parade du Jazz in Nice, Pori Jazz festival, Jazz Festival in Thessaloniki, and many others. He played in the United States in New York, Boston Philadelphia, etc. with George Cables, Ray Mantilla, etc. In the pop music scene he recorded and toured with Lucio Dalla, Gianni Morandi, Biagio Antonacci, Luciano Pavarotti, Vinicio Capossela, Tullio De Piscopo, Rossana Casale, Gloria Gaynor, Eumir Deodato, Jovanotti, George Michael, Grace Jones and many others.